Detail King’s Banner is for detail shops, car washes, recon centers and the weekend warrior garages. Represent the products you use with pride. 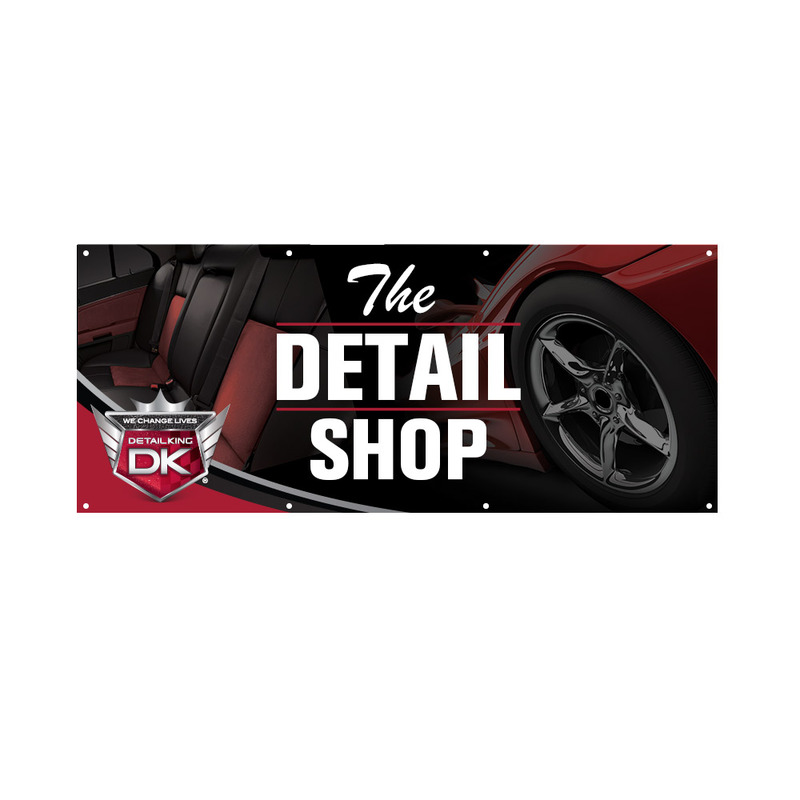 Detail King’s Banner is the perfect choice for consumer recognition by displaying your brand loyalty. Size: 72” X 30” – Grommets included for easy installation.